If you have the good fortune to watch the Masters in person this year, you may notice—as you wander the grounds with your mouth hanging open—that there are metal grates in a number of the greenside mounds. Those grates, and the mechanical hum that periodically emanates from them, are not proof that the tournament is a Matrix-like simulation created by green-jacketed aliens; instead, the grates provide ventilation for Augusta National’s extensive subterranean turf-conditioning system. Slurping up downpours is actually not SubAir’s primary purpose—as I learned eight years ago from Kevin Crowe, who is the project director of the company that manufactures the systems. (SubAir’s headquarters are in Graniteville, SC, about fifteen miles from Augusta.) Benson’s primary original idea was to pump air into greens from underneath, and that’s what the units mainly do. “The concept is to supply fresh air into the root zone and help provide a more optimal growing environment for the plants,” Crowe explained. The first Augusta green to receive that treatment was the twelfth—a greenkeeping headache since the course was built—and Benson and his staff, after a couple of false starts, noticed rapid improvement in the health of the turf. Removing excess water, by operating in reverse, was secondary. Is the investment worth it for other non-Augustas? The course architect Tom Doak has said that, during the planning for Sebonack Golf Club (which Doak designed with Jack Nicklaus), he offered “to quit the project” if the superintendent insisted on SubAir. 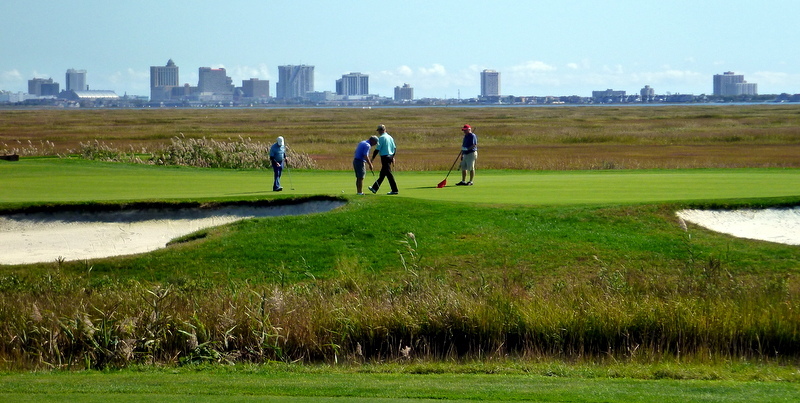 Doak felt the system couldn’t possibly be useful in eastern Long Island, which is about as close as the United States comes to Scottish linksland. The director of construction education and technology for the USGA’s Green Section told me, “If you build greens properly, using our method, we don’t see a need for SubAir.” USGA greens are expensive enough as it is, he said, and their purpose is to provide exactly the kind of gas exchange and enhanced drainage that SubAir is meant to promote. 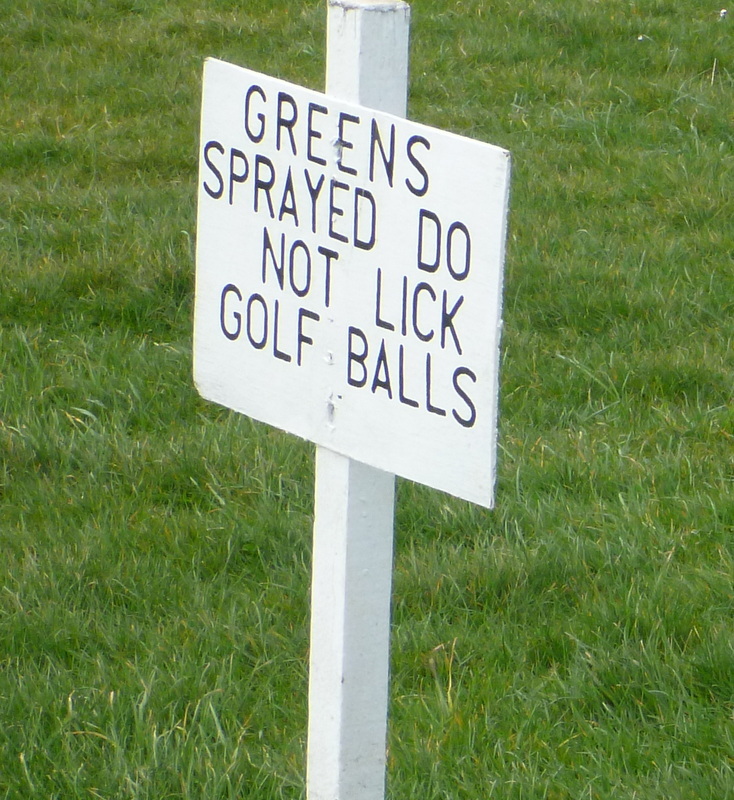 Besides, he said, almost any golf course’s greens drain better, all by themselves, than its fairways or bunkers. When I called Kenny to ask for driving directions, he told me to take the freeway to a certain exit north of town. “As you look toward the mountains, you’ll see a forest rising out of the desert,” he said, and we both laughed. But he was right. Las Vegas has sprawled past the golf course since then, but at the time Shadow Creek was an Oz-like quadrant of green surrounded by miles and miles and miles of sand. At the front gate, I spoke my name into a telephone and smiled at a closed-circuit television camera. Then, as I drove to the clubhouse, I shared the road with a ring-necked pheasant, a chukar, and a long-eared rabbit—a small sampling of the non-native species with which Steve Wynn had ornamented the grounds. When Shadow Creek opened, there were also wallabies and African cranes, but they turned out to be too large to coexist with mishit golf balls. 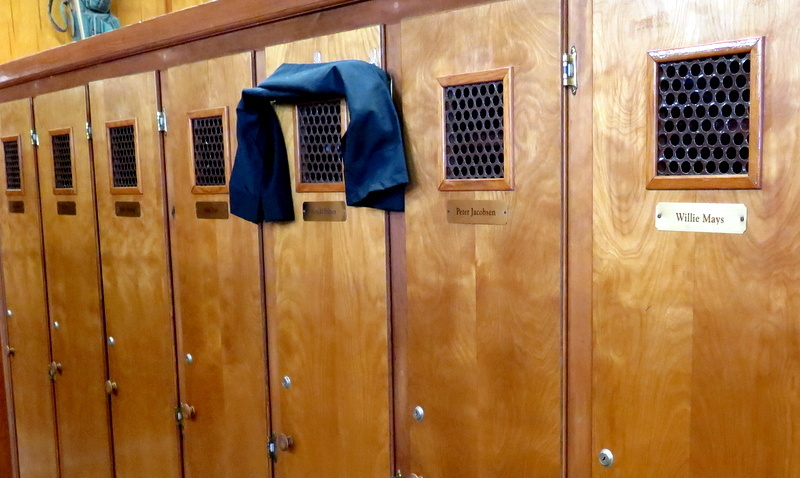 I left my shoes in the (alleged) locker of Davis Love III. No photographs allowed. 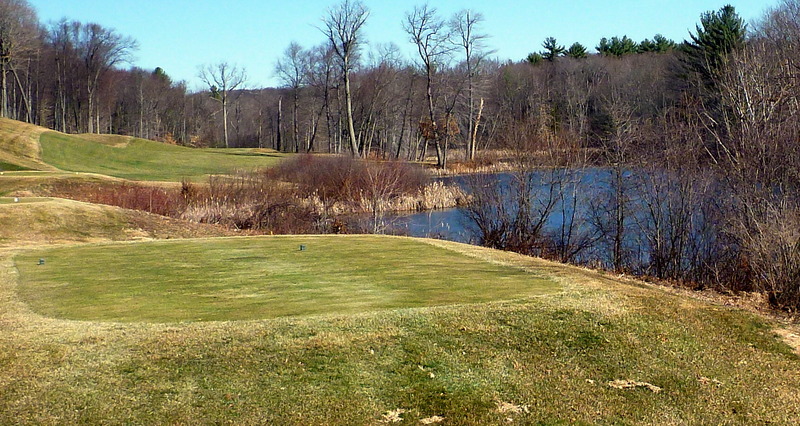 The course was designed by Tom Fazio and completed in 1990. The cost has been estimated at $40 million, $50 million, $60 million—who knows? Shadow Creek can probably be considered our best look into Fazio’s artistic soul, since he was given not only a blank check but also a blank canvas: he built the course, basically, by digging a gigantic hole in the desert and filling it with money. Every hill, every pond, every bump, every dip, every bounce, every break is there because he put it there. 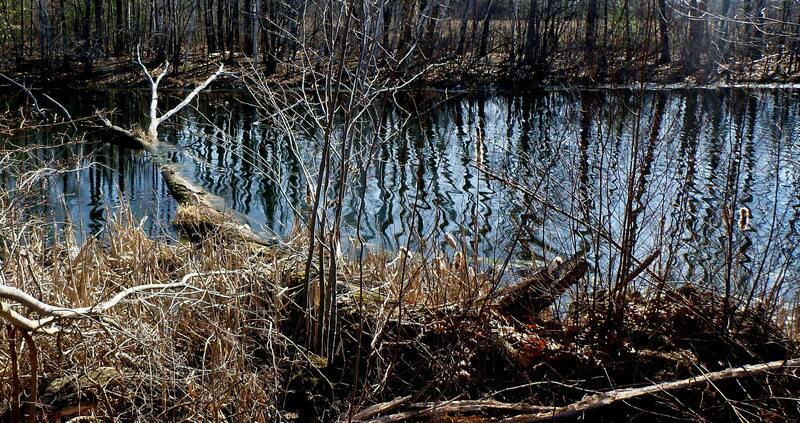 The stones in the artificial creek that circulates through the property (and tumbles over an artificial waterfall on the seventeenth hole before returning to its artificial headwaters) were glued in place by Fazio himself, maybe. The pine trees that surround you on every hole only look as though they run all the way to the snow-capped mountains in the distance. The rye grass on the fairways would die if the maintenance crew ever stopped flooding it with the ground-up life savings of slot-machine players. There’s a par 3 that you enter and leave through a tunnel. It’s a virtual golf course—except that it’s real. The two other members of our foursome were a professional from a nearby country club and his wife, who arrived in a white Porsche Carrera and were wearing more gold and diamonds than I’m used to seeing on a golf course. “Ah, the life of a Las Vegas club pro,” the pro said, smiling. Kenny Wynn—an impatient, slashing 18- or 20-handicapper—quit after a few holes, and once he was gone we had a relaxed, pleasant round. No other group entered our field of vision, although later, in the clubhouse, I did see the well-known golf nut and occasional actor Joe Pesci. Our golf carts had built-in coolers, which were filled (and, at the turn, refilled) with ice and soft drinks. We were accompanied by an affable caddie/chauffeur, who paced yardages, filled divots, repaired ball marks, read putts, and urged us to drink something at any moment when we weren’t swinging a golf club. I chugged roughly a gallon of Gatorade per nine—it gets hot at the bottom of a hole—but didn’t pee until a day or two later. On with The Match! I took the photo above last Thursday at Keney Park, a muny on the east side of Hartford, Connecticut, a little over an hour from where I live. Barney, Paul, and I couldn’t scrounge up a fourth, mainly because the temperature when we left home was in the thirties. But the sign above says it all. 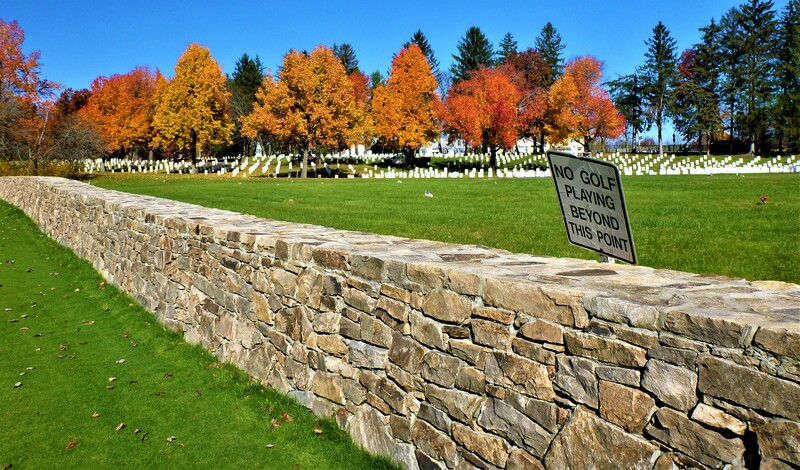 Even if you live to be 100, you don’t get so much time on this side of the wall that you can afford to squander golf days. 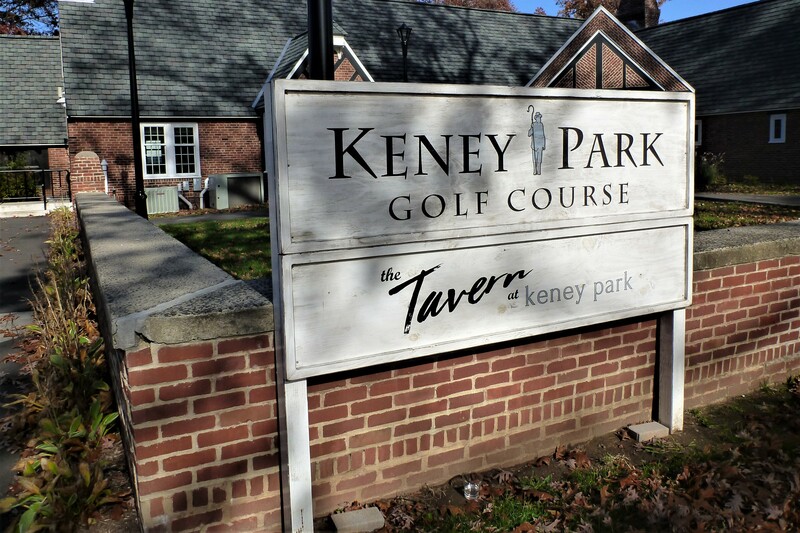 Eight or ten years ago, the Sunday Morning Group played quite a few winter rounds at Keney, mainly because it was one of the few courses we knew about that stayed open. It was in terrible shape, but you could tell that at some point it had been terrific. Then it closed, and underwent a big renovation. This was the first time any of us had been back. The Friday forecast was for thunderstorms all day long: on wunderground.com, the little icon for every hour of the day was a dark cloud with a lightning bolt streaking out of it. But Barney, Mike B., Tim D., and I decided keep our morning tee time at the Links at Union Vale, about an hour west of where we live. And we were right to ignore the forecast. During our round, there wasn’t even a distant hint of thunder, and we had a total of maybe ten minutes of light rain. Mike B., above, was the only one of us to carry an umbrella, and he used it only briefly. We all took off our rain jackets after a few holes, and wished we’d worn shorts. And, because other golfers have more faith in meteorologists than we do, we had the place virtually to ourselves. The course was built in the late nineties by New York City golfers. A group of Irish players from Van Cortlandt, Pelham Bay/Split Rock, and other munis in the metropolitan area got fed up with the summer crowds and decided to build a place of their own within weekend commuting distance. Roughly eighty of them bought shares, at ten thousand dollars apiece, then found two hundred acres of cattle-grazing farmland and hired Stephen Kay and Doug Smith to design a course for them. The investors knew of Kay because he had done some work on the bunkers at Van Cortlandt and because he had designed an Irish-style course, the Links of North Dakota, that they liked very much. He built the course for about two and a half million dollars—a pittance even then. 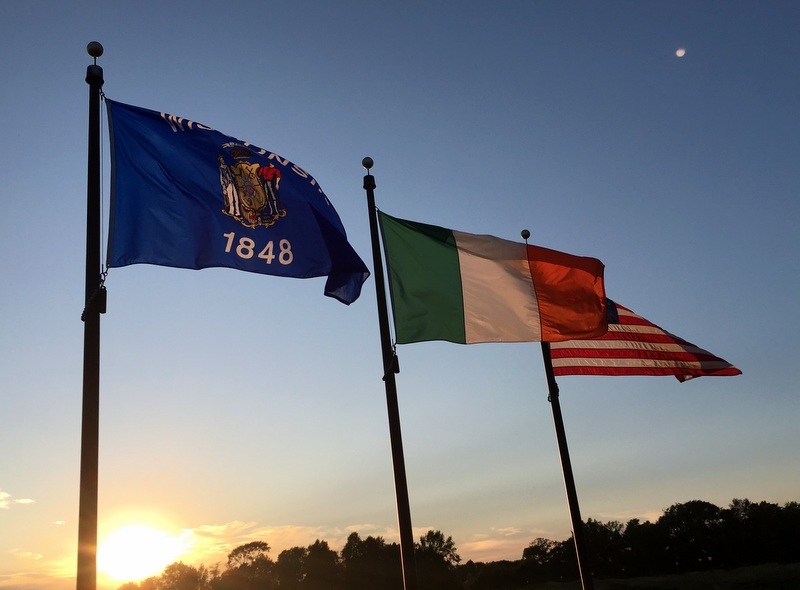 Many of Union Vale’s members belong to one or another of the many Irish golf associations in and around New York City. They allow themselves preferential tee times and charge themselves reduced fees, but their club is open to everyone. 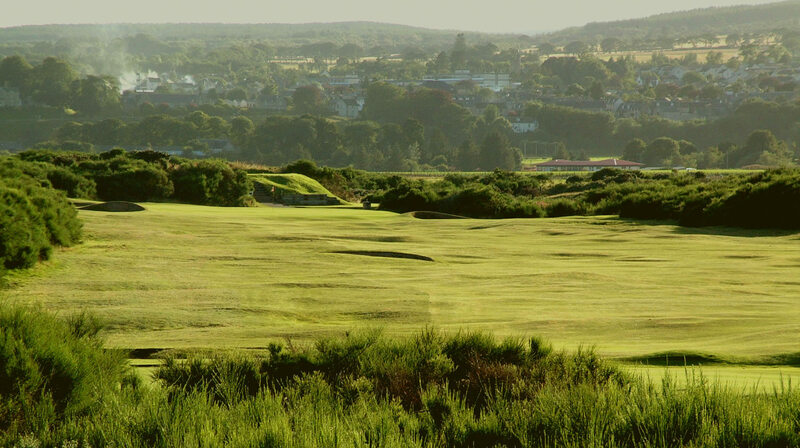 The course itself looks and plays more than a little like an Irish links course, and every tee box is sponsored by a different metropolitan-are Irish golf club, and the clubhouse is well stocked with Guinness. 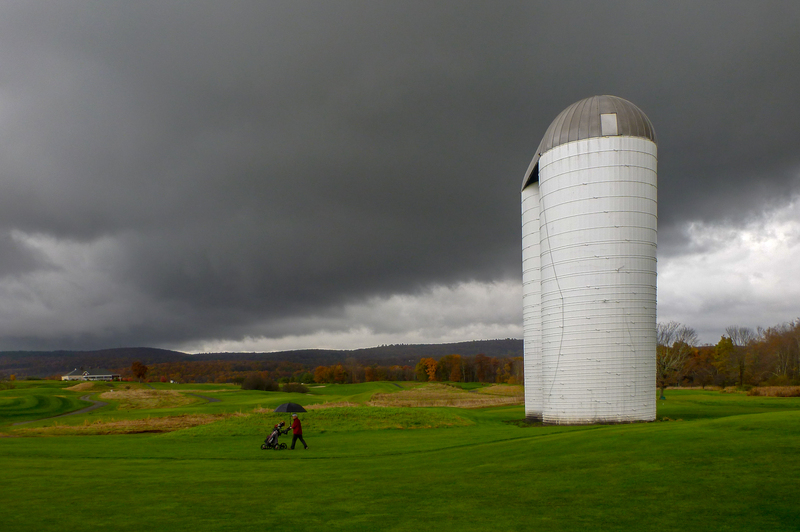 We paid the winter rate—thirty-five bucks for eighteen holes, walking—and we’re going back next Friday, forecast be damned. 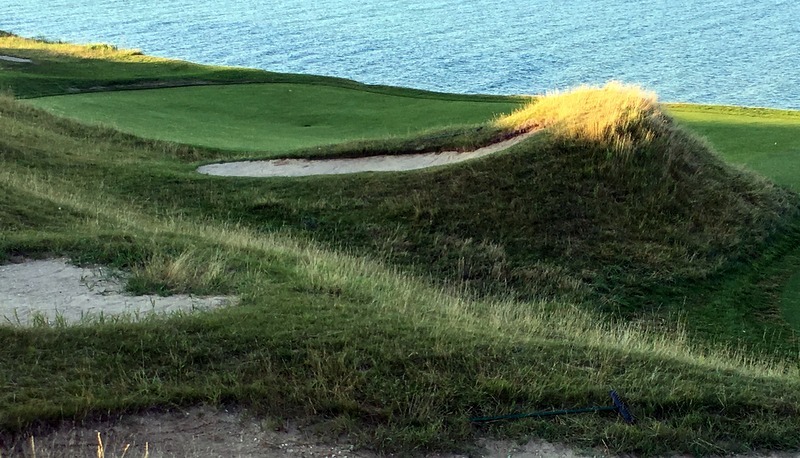 I won a couples package to play Whistling Straits in a charity raffle fifteen or so years ago, but could never figure out a time to schlep up to Wisconsin to cash in on my luck. 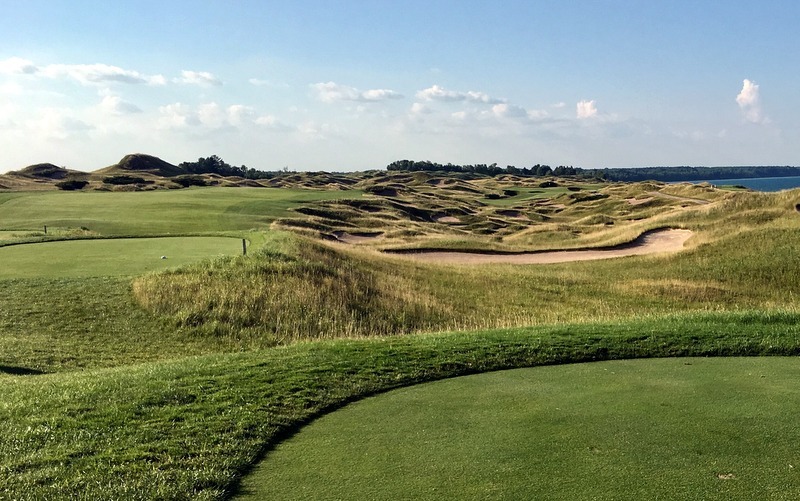 I goaded a client into inviting me to the PGA Championship two summers ago, and was awestruck by the beauty and seeming impossibility of the golf course. This summer, after a business meeting in Milwaukee, I finally played it. To me, Ben Crenshaw and Bill Coore represent the be-all and end-all of modern golf course design. I love that they had the vision and confidence to move so little dirt when they built Sand Hills, one of the finest golf courses on the planet, and that they considered about a hundred and eighty different possible holes before landing on their favorites. The last four holes are magic. 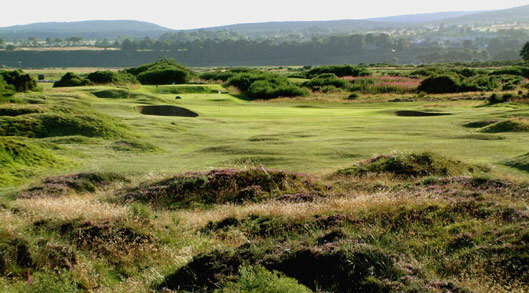 The photo below is of the seventeenth, a par three called Pinched Nerve. The bunker with the wispy fescue patch above it in the photo below guards the right front of the green, leaving only a narrow window for running up the ball. I guess maybe it’s time to start thinking about booking a flight to Milwaukee. The manager, whose name was Norman, and the member, whose name was Ian, were already on the tee when I pulled up. Ian looked peeved and impatient. I jumped from my car, pulled on my shoes, breathlessly hit a drive without a practice swing or a waggle, and took off after them. Norman and Ian, it turned out, where playing in a club competition. Even so, they played at a pace that would have staggered the average American golfer. I have friends at home who think I play ridiculously fast, but I had to concentrate to keep up. 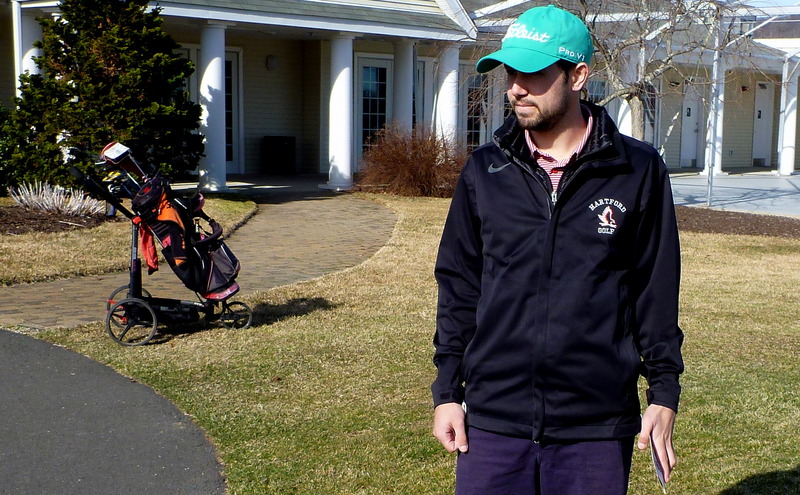 I watched them closely, to make sure I put down my bag on the side of the green that was nearest the next tee, and I always had to be aware of whose turn it was to do what. 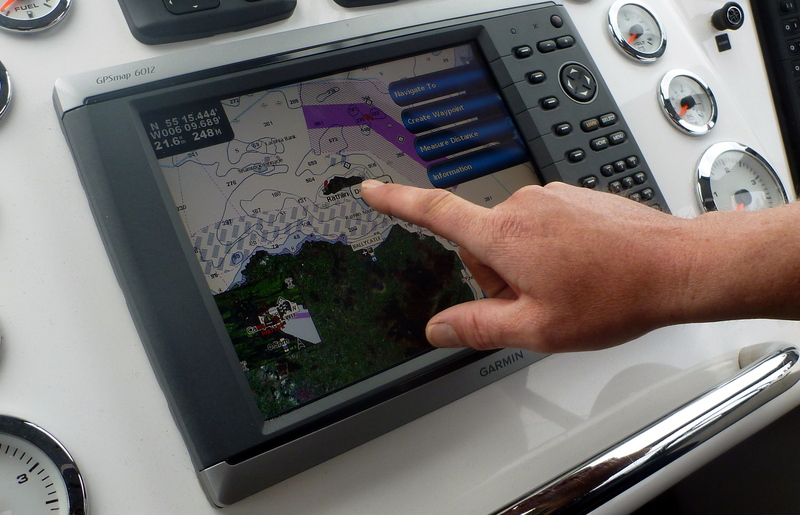 No plumb-bobbing! If there was any doubt about the playing order, one of them would quickly establish it. “First David, then myself, then Ian,” Norman said on one hole as he pulled the pin. Each golfer was expected to line up his putt or select his next club while the others were putting or hitting. Even so, we played more slowly than the two players behind us, who occasionally had to wait. Tain is surrounded by farms and separated from Dornoch Firth by fields full of sheep; at one point, I had to retrieve my ball from a pigpen, which was out of bounds. Still, my round was one of the happiest of my trip. After I had jogged along with Norman and Ian for a couple of holes, they apparently forgave me for being late, and from then on we chatted between shots. Norman told me where to aim on every tee—the bunker on the left, the last tree on the right—and I manged to hit my ball on the proper line surprisingly often. Later, it occurred to me that my unaccustomed accuracy was probably the result of my aiming at something. Before that day, I don’t think I had ever aimed a drive at anything smaller than the entire fairway—in effect, aiming at nothing. The club was founded in 1897, so next year will be its 120th anniversary. 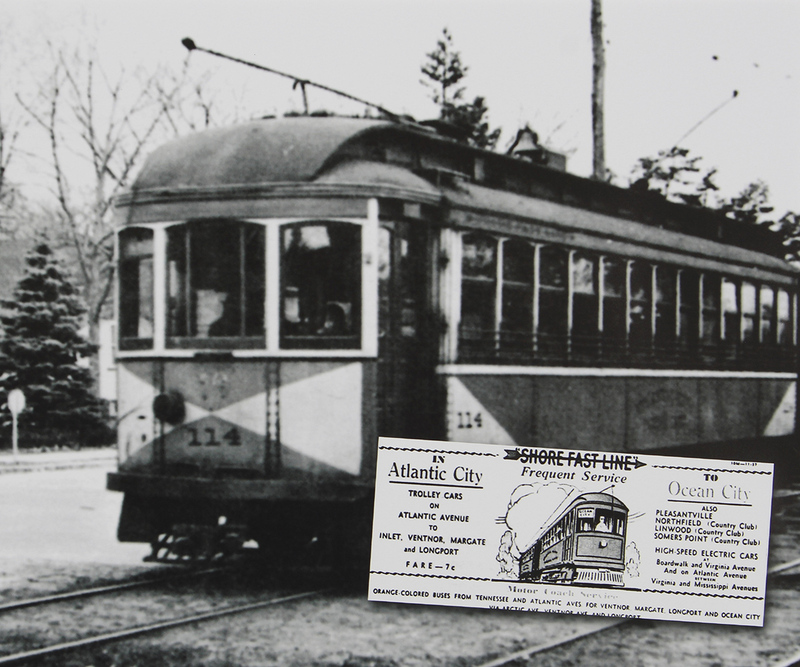 In the olden days, a bell was rung to warn golfers that the last trolley back to Atlantic City was about to depart. Timing was an issue because high tide sometimes covered the tracks, making the schedule irregular. Also, everyone was drunk. The U.S. Amateur was held there in 1901. The U. S. Women’s Open has been held there three times. 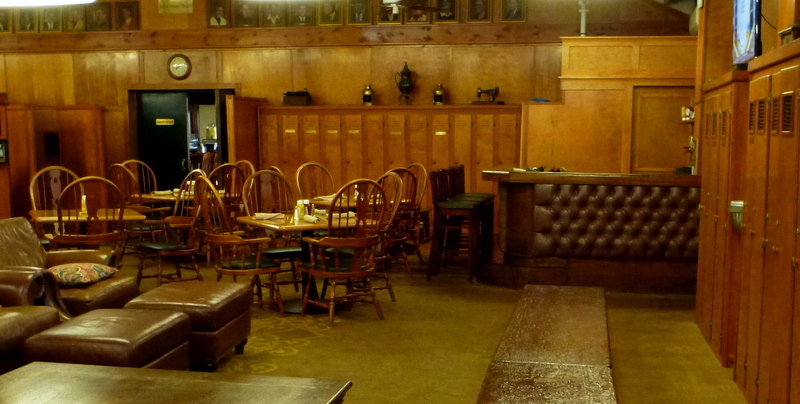 In 1948, it was won by Babe Zaharias, who celebrated afterward by playing the piano in the club’s Taproom. Al Capone, Bob Hope, Willie Mays, and Joe Namath also played there and also have honorary lockers. Kintyre Express has lots of other routes, too. 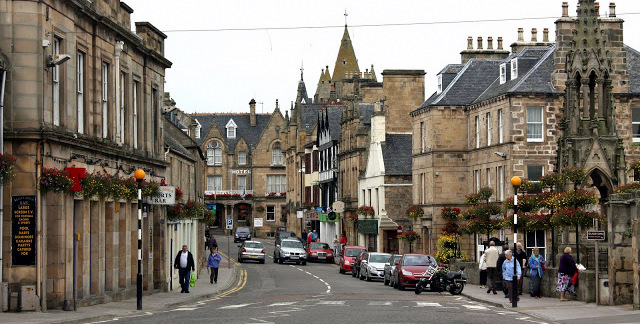 The Troon-to-Campbeltown trip starts at £500 for up to 12 passengers. Thanks to Brexit, that currently works out to only about $55 a head. Kintyre also operates regular ferry service to a number of destinations in the same region. Ask for Mairi! I visited New Zealand on a reporting assignment in 2007. I was the guest of the hedge-fund billionaire Julian Robertson and his wife, Josie, who has since died. 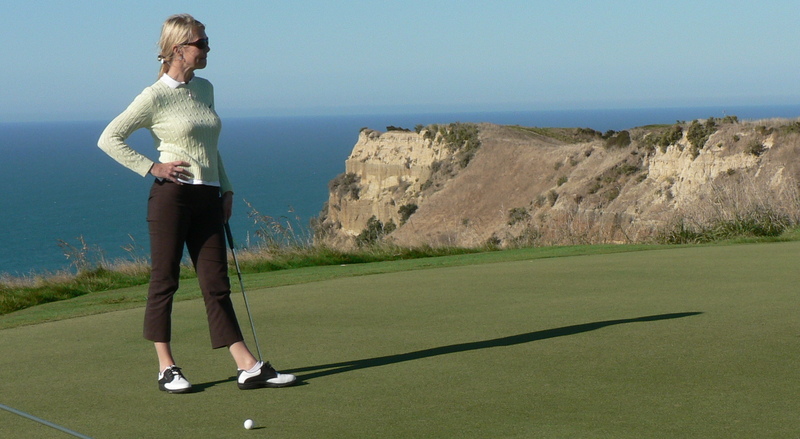 We spent most of our time at Kauri Cliffs, a huge property Robertson owns at the northern end of the North Island. (You can read about that part of my trip here and here.) On Sunday, the Robertsons attended the early service at the tiny Anglican church in Kerikeri. 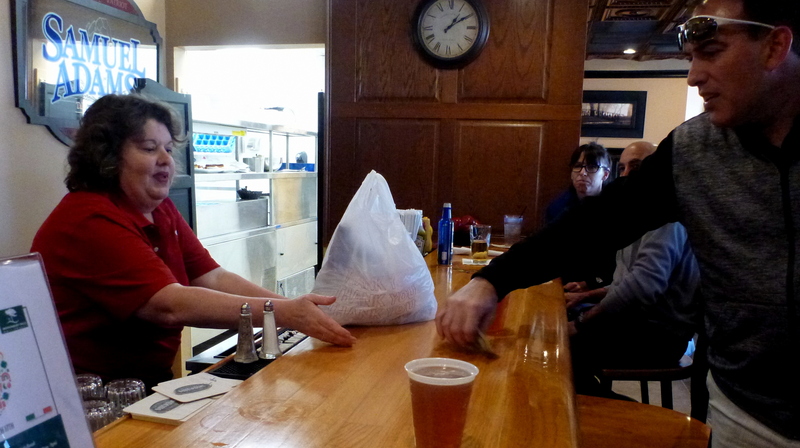 “If you believe in a deity, you owe that deity an hour a week,” Robertson told me. This is the church. 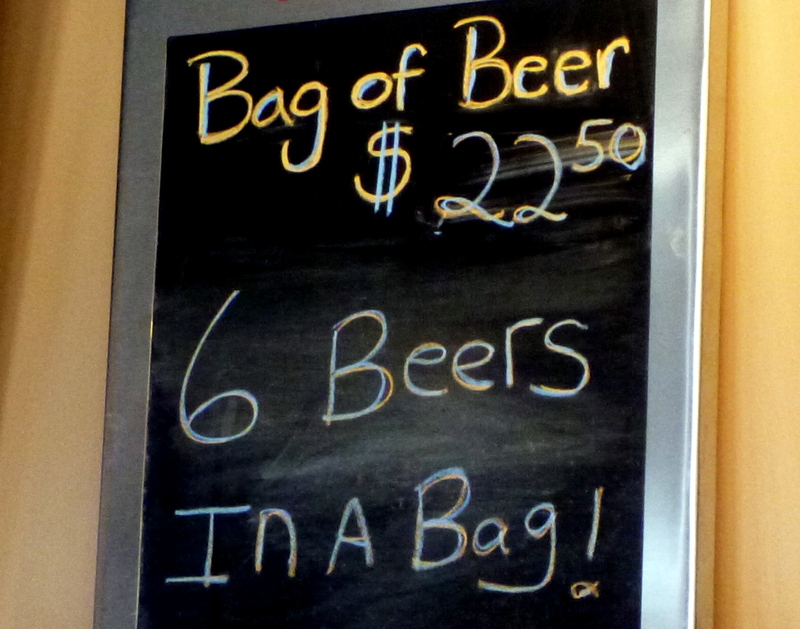 They spell some things differently in New Zealand, apparently. Then we headed south, to Cape Kidnappers, Robertson’s other big real-estate holding on the North Island. (He also owns 11,000 acres on the South Island.) The trip takes about ten hours if you go by car, but it’s quicker if you travel as we did: by helicopter to Auckland and then by Gulfstream to Hawkes Bay. The Gulfstream part of our journey was so short that the plane never really flew level: we went up, then we went down. 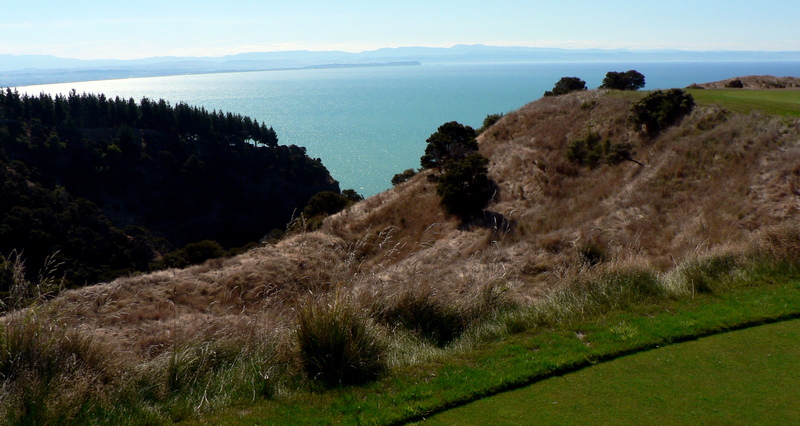 In fact, the most grueling leg was probably the final one, the drive from the front gate at Cape Kidnappers to the clubhouse, a five-mile trip that, if you observe the posted speed limit and brake for wandering cattle, can take a half an hour. We made that drive in a rental car, which we had picked up at the little airport in Hawkes Bay. I went into the terminal with Diana McCarty, Robertson’s director of New Zealand operations, to make the arrangements. As we crossed the tarmac, she commented that people inside the terminal would probably be wondering who I was, since I had just emerged from a $40-million aircraft accompanied by a blond who was young enough to be my third wife. A useful rule of thumb, when evaluating any remark made to you by an attractive woman much younger than yourself, is that if you aren’t sure whether the remark was an insult, it was an insult. Nevertheless, I sucked in my gut and walked a little taller. That little building in the distance is the Cape Kidnappers clubhouse. 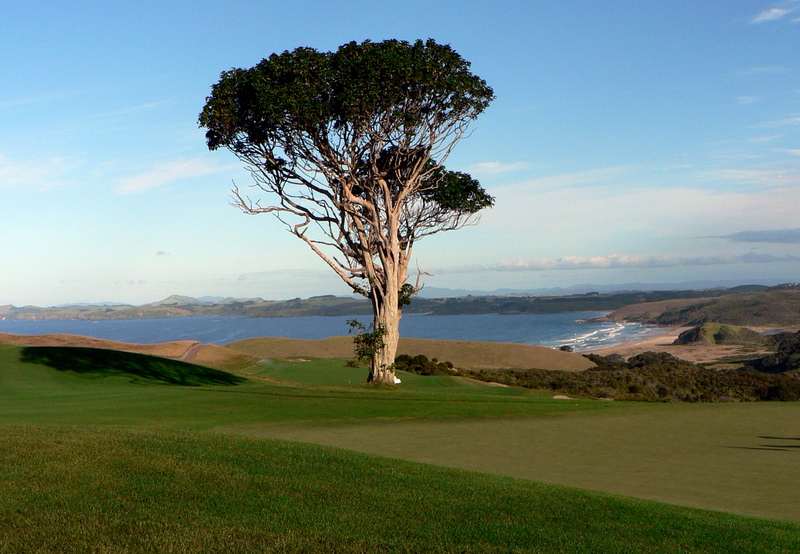 The golf course at Cape Kidnappers was designed by Tom Doak, but it wouldn’t have been if Robertson, back in 2001, hadn’t received what he initially believed to be shabby treatment at Bandon Dunes, which had opened two years before. He was visiting with his sons and had expected to play the already legendary Bandon Dunes course twice. 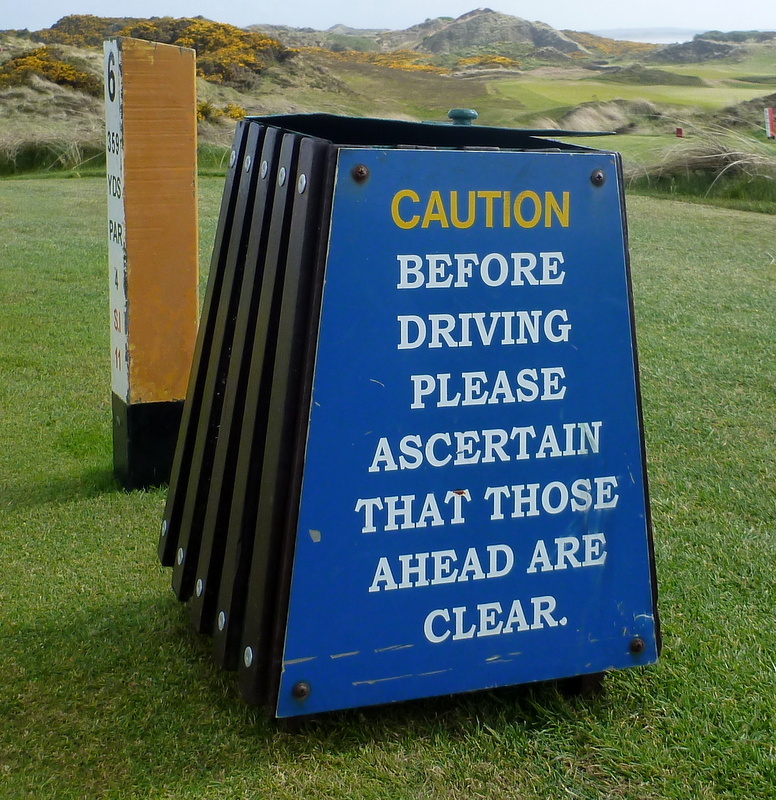 Sorry, he was told; you’ll have to play our new course, Pacific Dunes, first. Robertson was furious—he has a temper, which he has worked for years to control—but his anger vanished after a few holes, and he hired Doak to design a course for him, too. 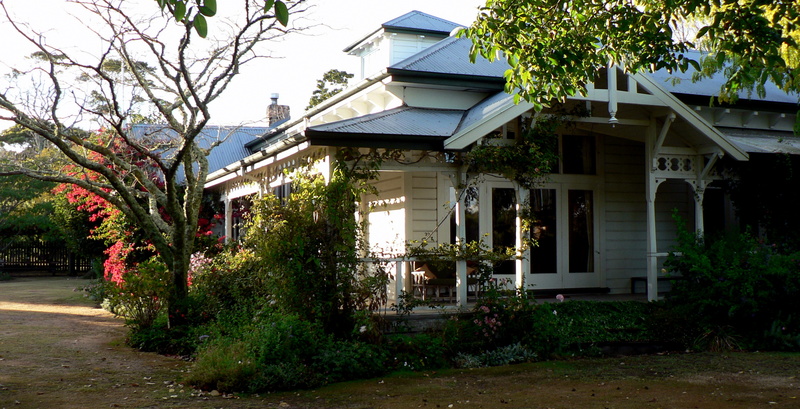 It was still under construction, so we stayed in Te Awanga, at a bed-and-breakfast place called Merriwee, which Doak discovered. The Robertsons had stayed there often, and had become good friends with the owner, a divorced woman with grown children who filled in occasionally as a substitute kindergarten teacher, and several of her neighbors. Her house is more than a century old. The Robertsons left the next day, because they had business elsewhere. I rented a car of my own and drove back to Kidnappers for a final round. A huge rainstorm had been predicted for the afternoon, but it disappeared somewhere over the Pacific, leaving only tremendous banks of fast-moving clouds, which the setting sun lit up. 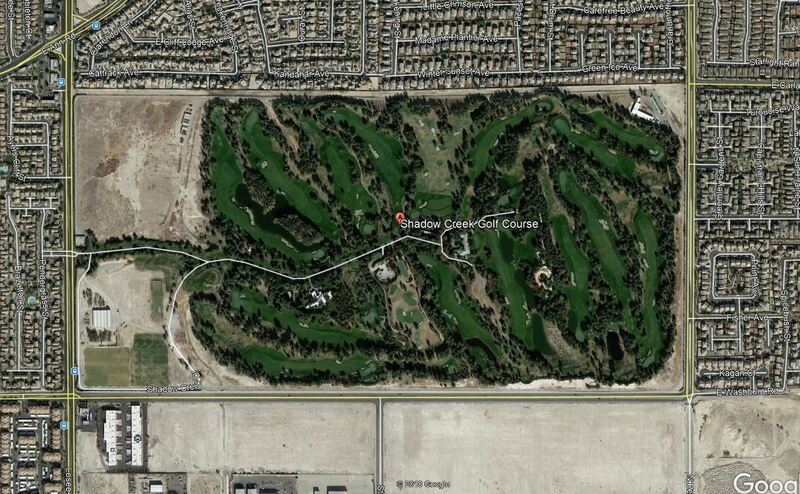 I had the course virtually to myself, and got around on foot in just a couple of hours. I had a new driver—one of those big square ones that sounded like fungo bats—and it echoed all over the course. I tried to swing it quietly so that the pro wouldn’t know how many balls I was playing. The only tiny seed of disappointment, lurking in the back of my mind, was my knowledge that, the following evening, I would be on my way home. 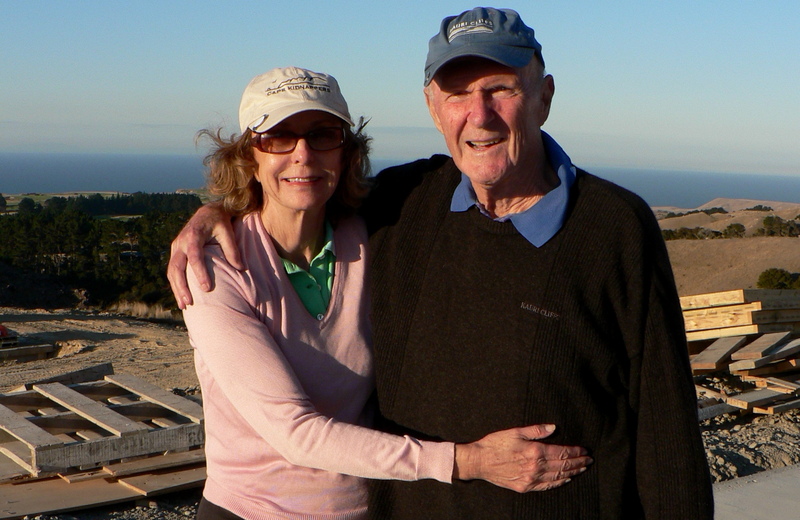 Josie and Julian Robertson, Cape Kidnappers, March 11, 2007.